Strengthens the arms, wrists and abdomen. Increases the flexibility of the spine. 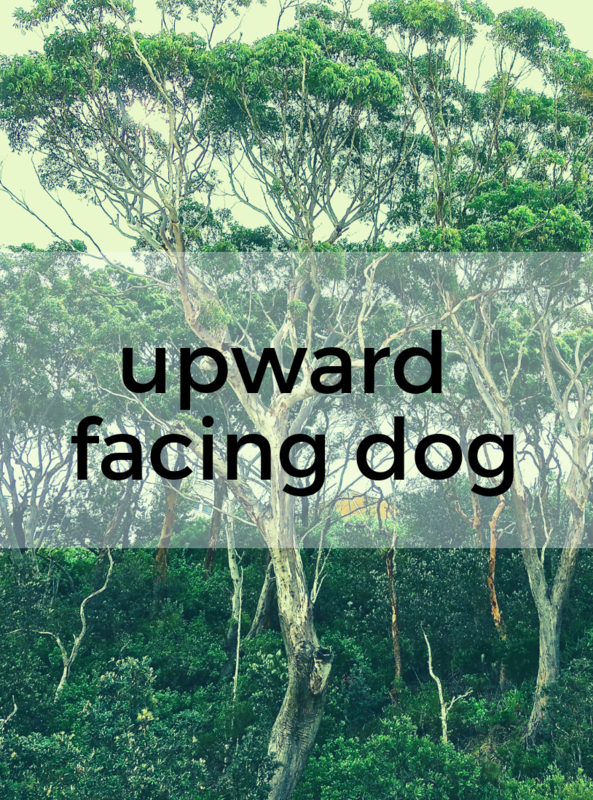 Upward Facing Dog is usually done as part of the Sun Salutation vinyasa sequence of poses. 1) From Chaturanga Dandasana, come forward rolling over the toes without letting the thighs touch the floor. 2) Keep the legs engaged and off of the floor, while pressing the tops of the feet down and dropping the hips. 3) Make sure the shoulders stay over the wrists and are not hunched up near the ears. Bring your thighs to the floor and turn the feet one at a time if you cannot roll over the toes. Then lift the legs again. Bend the arms out to the sides and roll the shoulders back to bring the shoulders over the wrists. Practice Cobra if Upward Facing Dog is not possible. If you find yourself rushing through this pose, slow down to tweak your alignment occasionally.